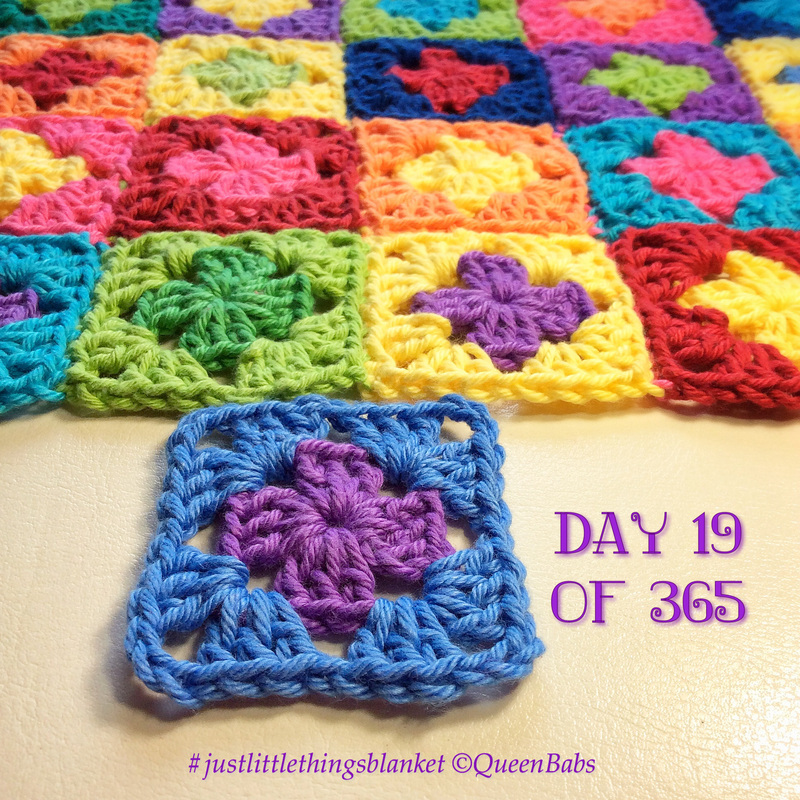 ...welcome to my 2015 Just Little Things Blanket! This year I am crocheting a 2 round granny square every day using 2 colours which represent something little I want to remember, celebrate or be grateful for. 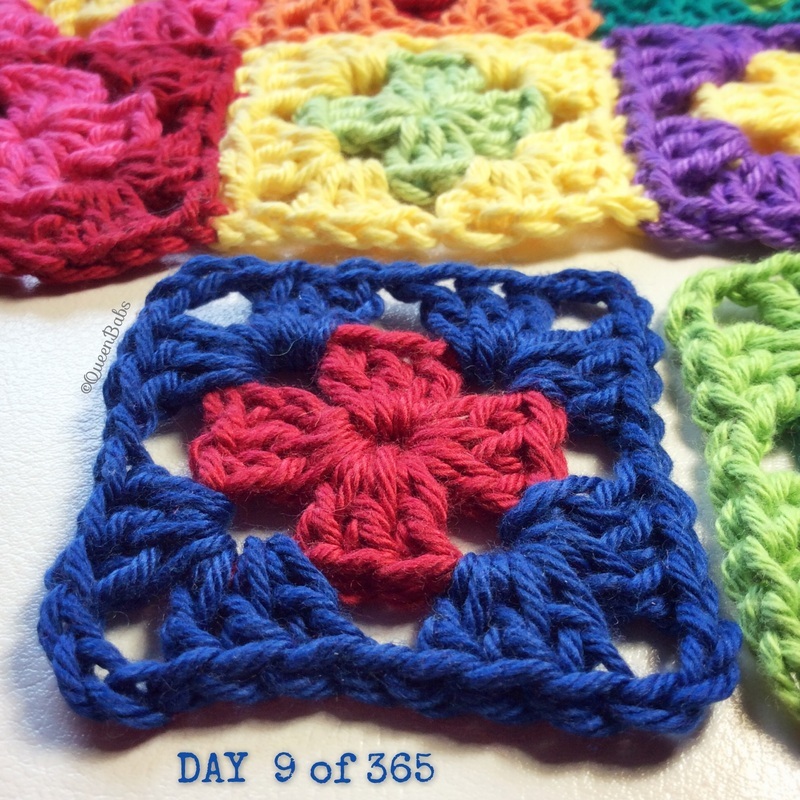 Each block is only 6cm wide! 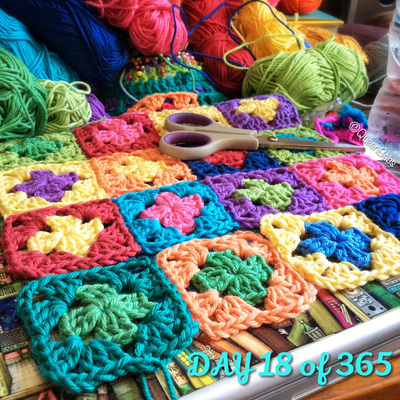 I'm thinking 18 blocks by 20 (108cm x 120cm) which equals 360 blocks and 5 days of crocheting borders. Some days I am making 2 of the same to add the extra one at random moments. 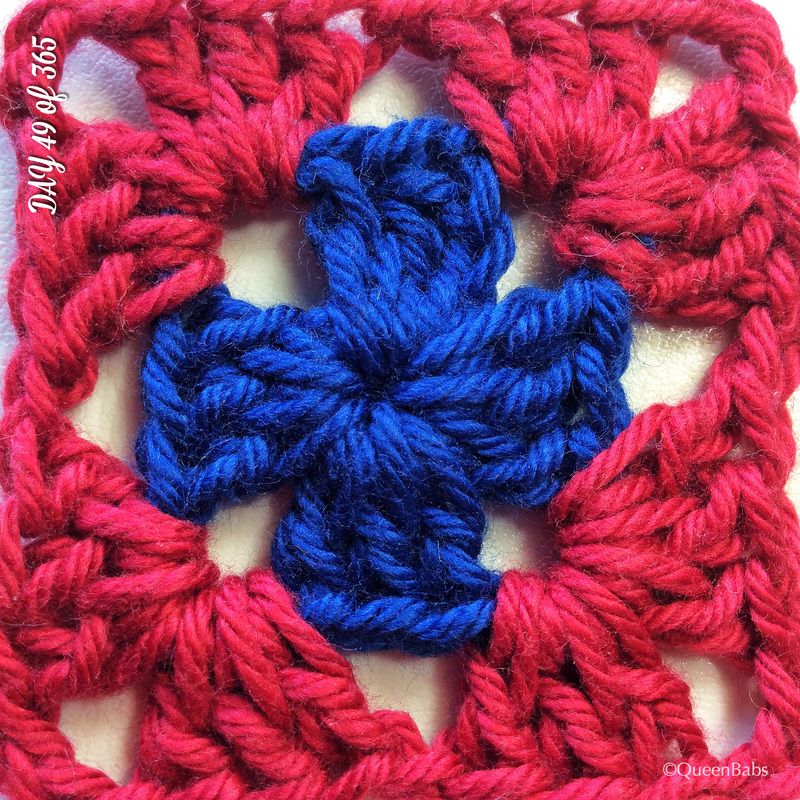 I am sewing the blocks together as I go, whip stitching the outside loops with the right sides together. 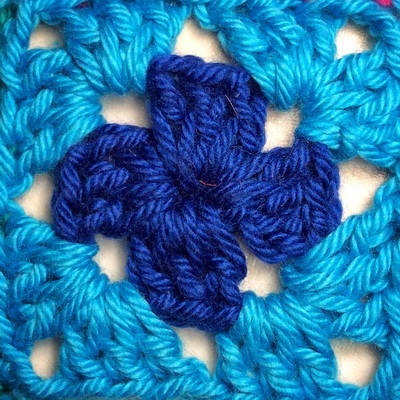 As so many have asked, I am including the pattern which is super simple, but really ANY 2 round granny will work as long as it's not too rounded. 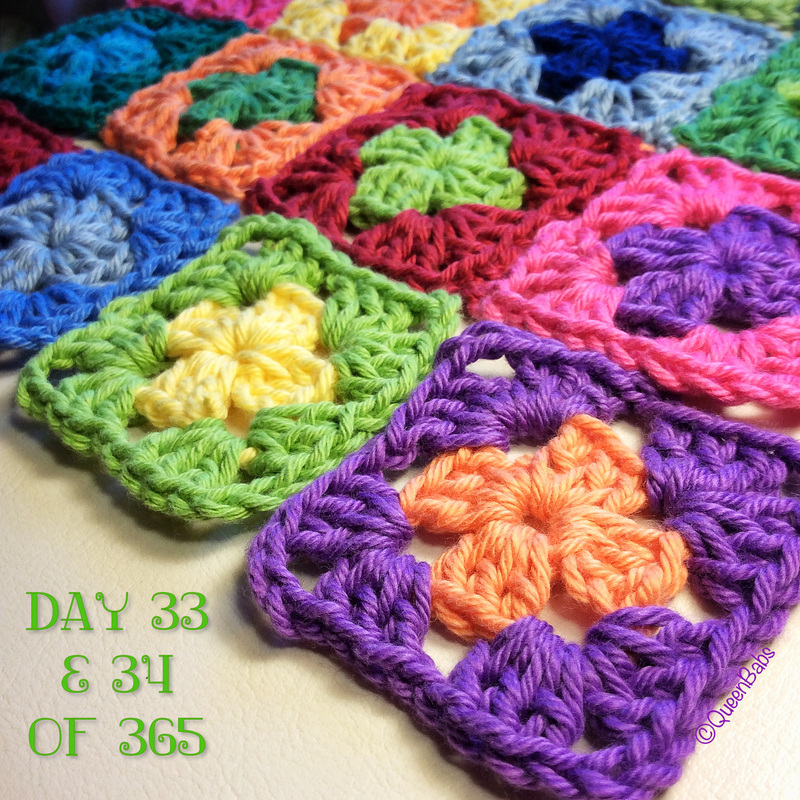 At the bottom of this page are all the squares I have made to date and the pattern! I used a variety of colours in Patons Cotton Blend 8ply yarn plus a couple of other various balls gifted to me by friends and a 4mm hook. 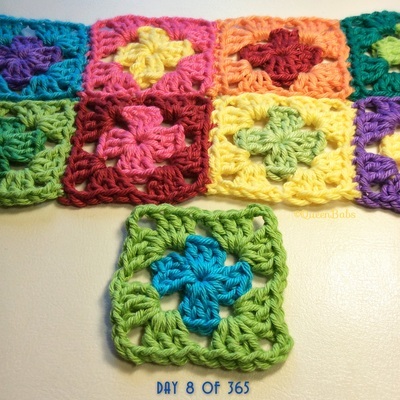 The Patons colours are called: Purple, Orange, Flamingo, Red (not Bright Red), Yellow, Sky, Royal Blue, Cloud, Apple Green, Fresh Green, Persian Green and Aqua. I had a variety of colours: hot pink, red, orange, yellow, lime, pale green, mid green, teal green, aqua, pale blue, mid blue, navy and purple. Choose colours that suit you. 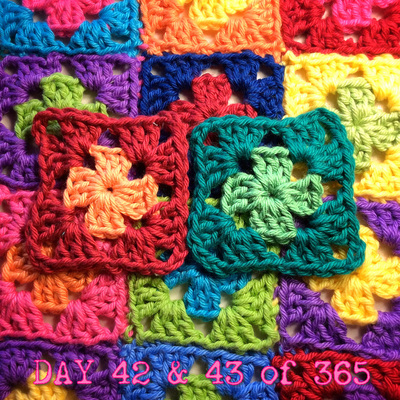 I am crocheting a 2 round granny square every day using 2 colours which represent something little I want to remember, celebrate or be grateful for. The idea is that the blanket is a year long project. 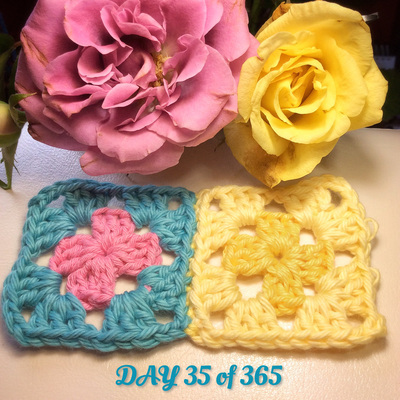 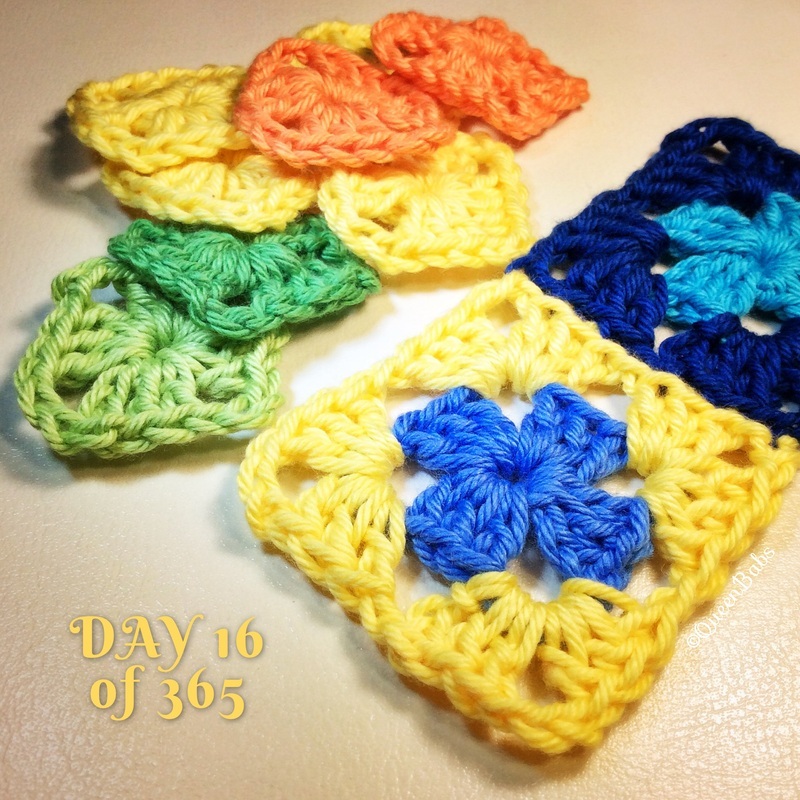 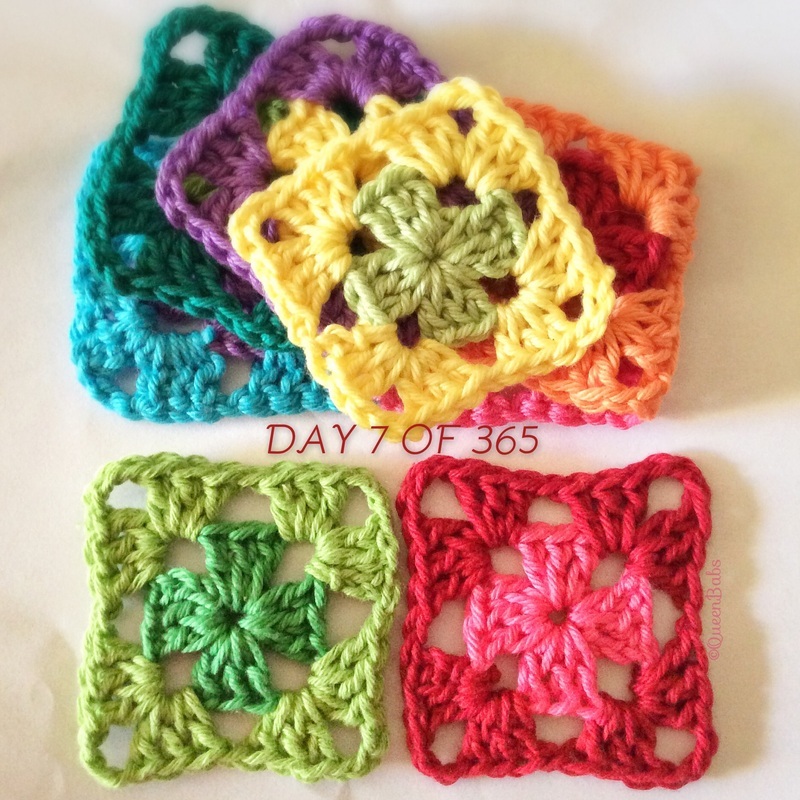 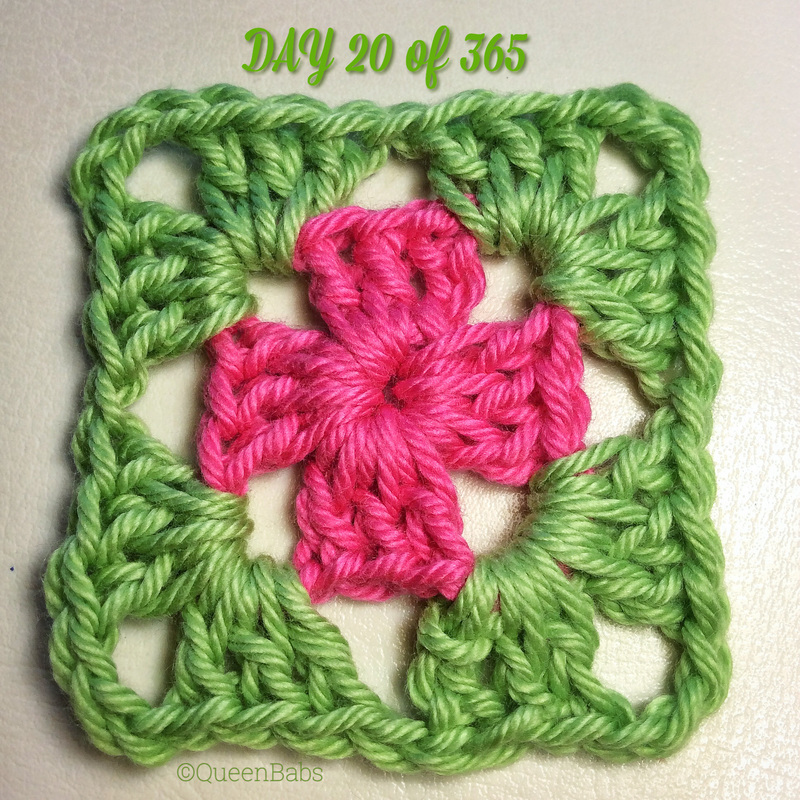 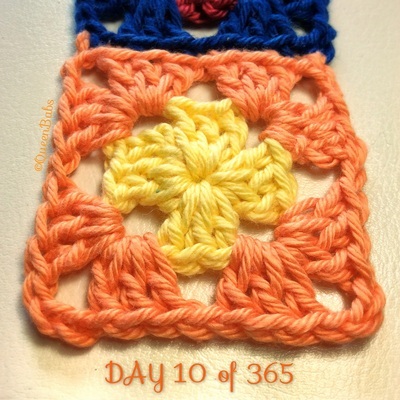 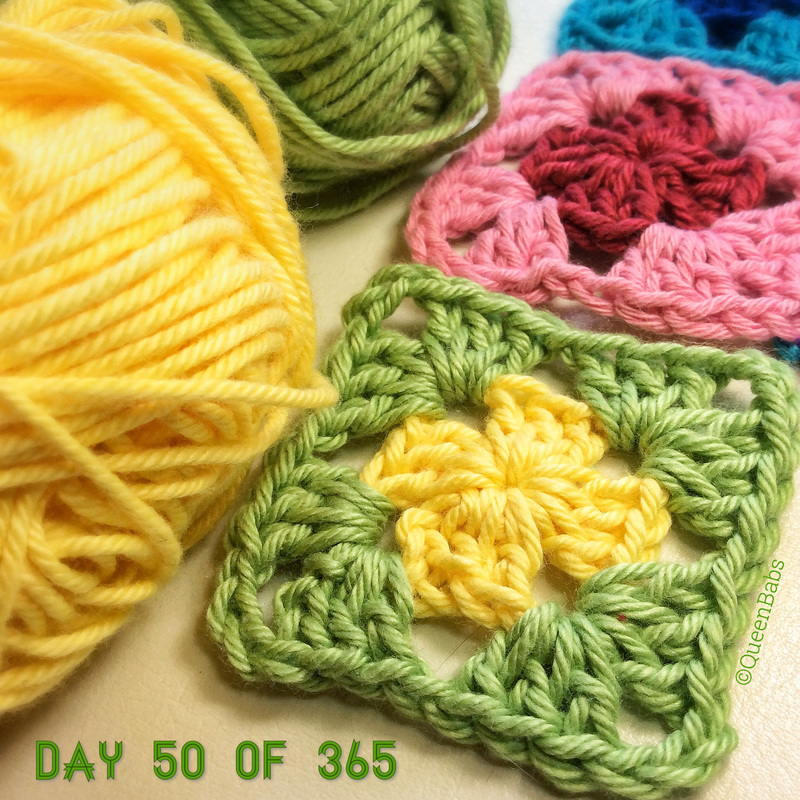 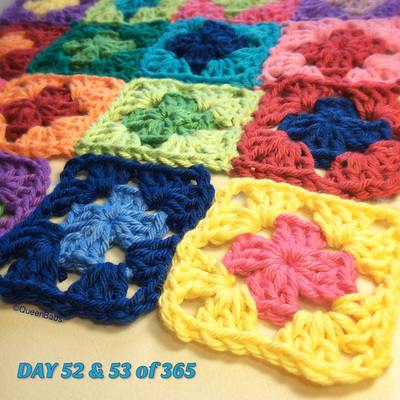 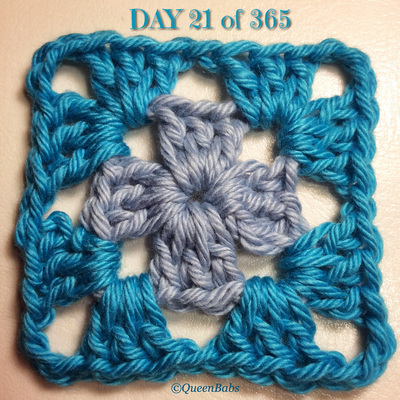 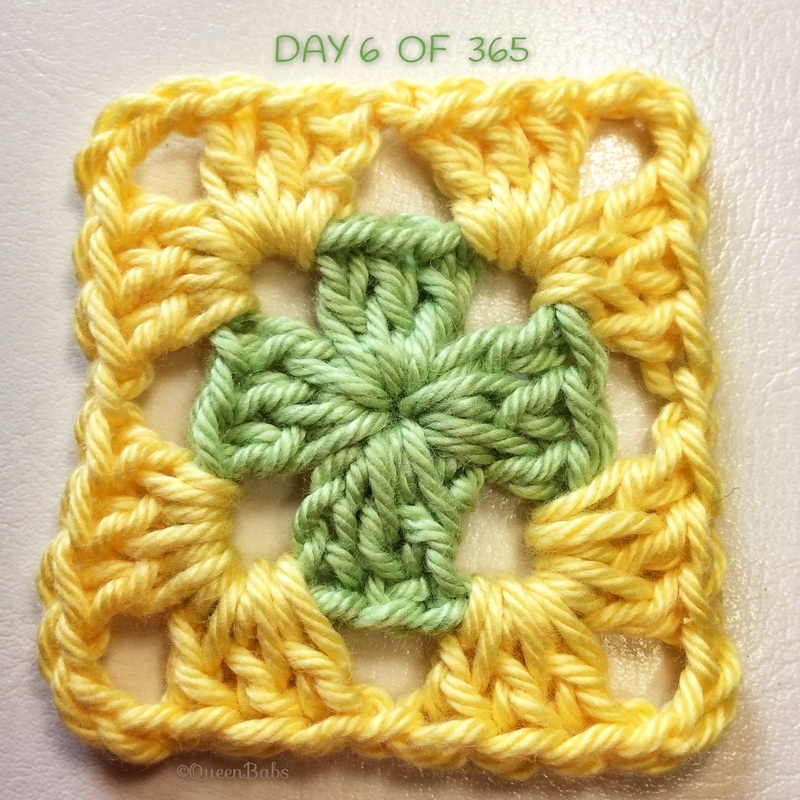 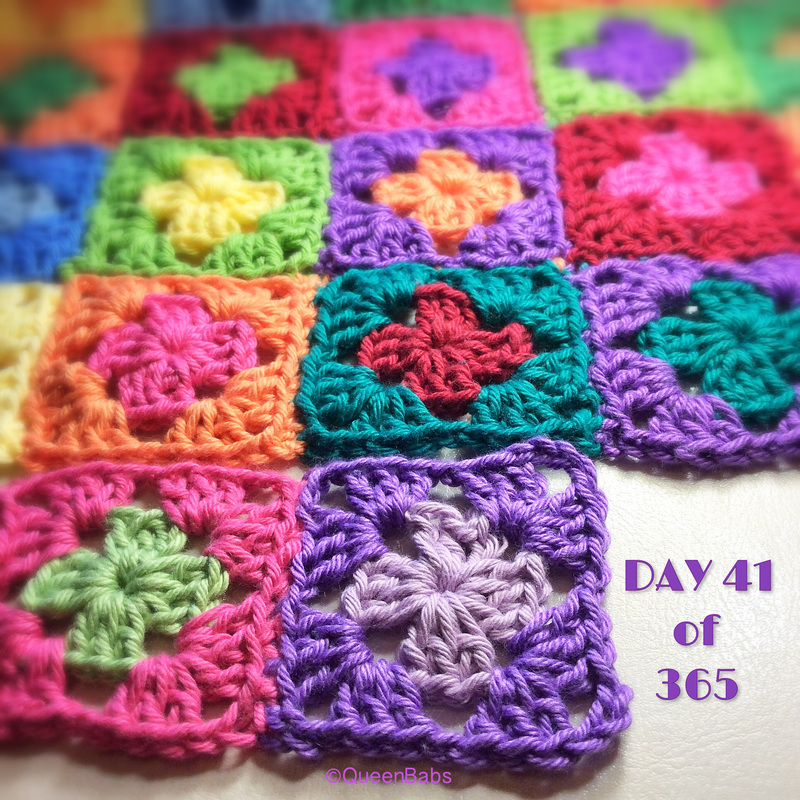 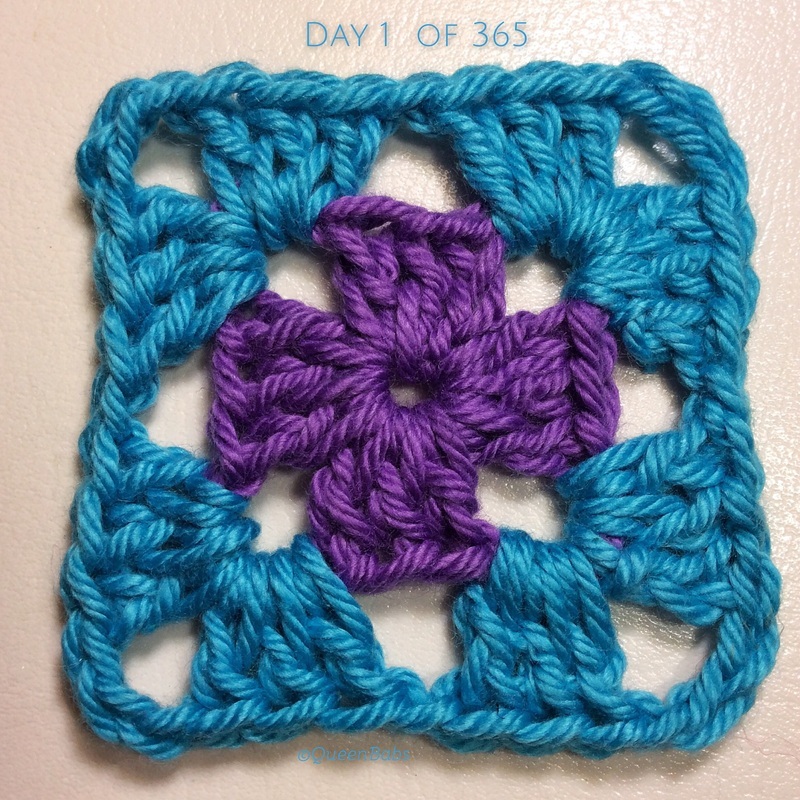 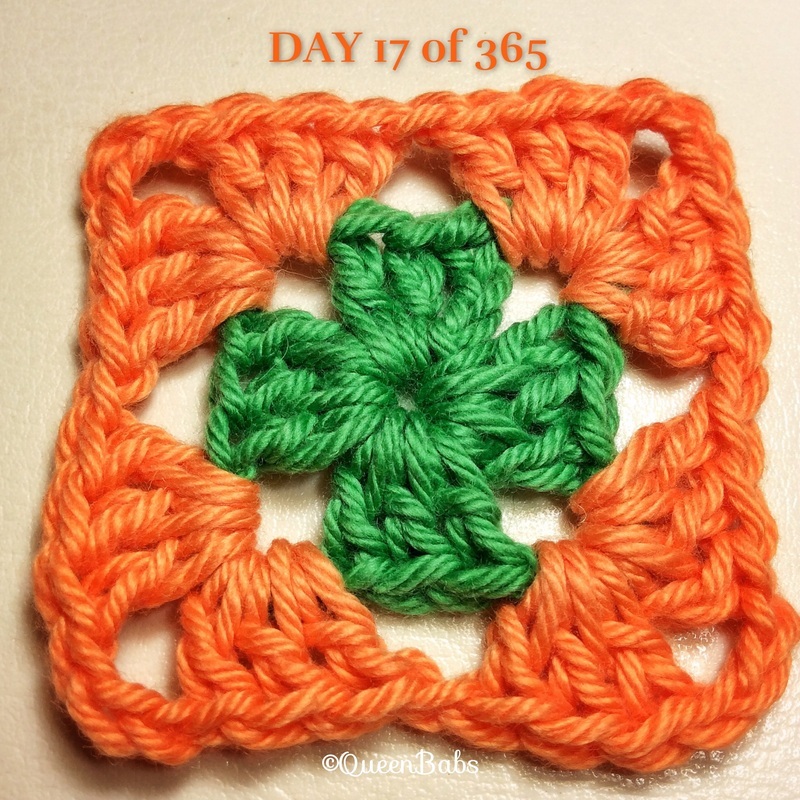 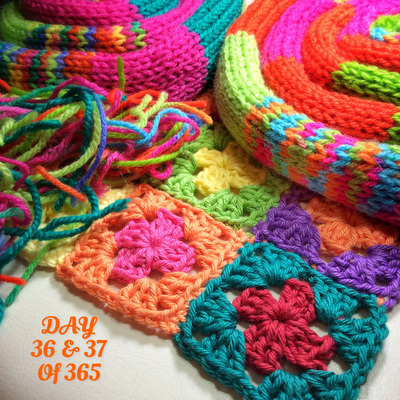 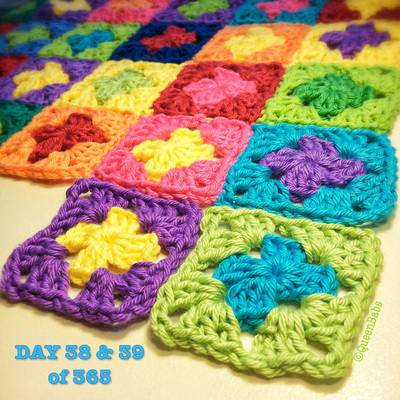 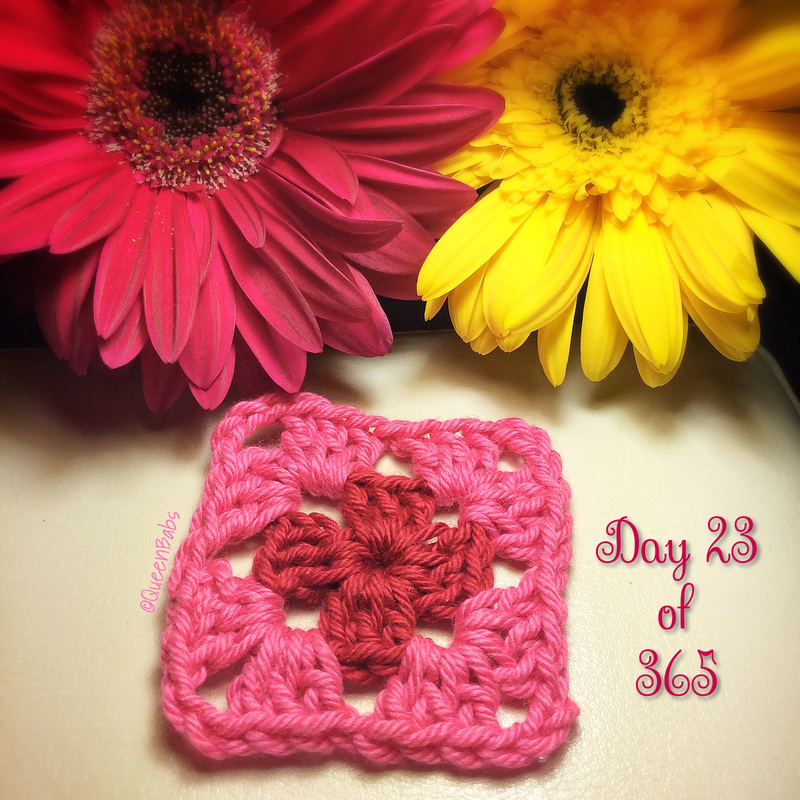 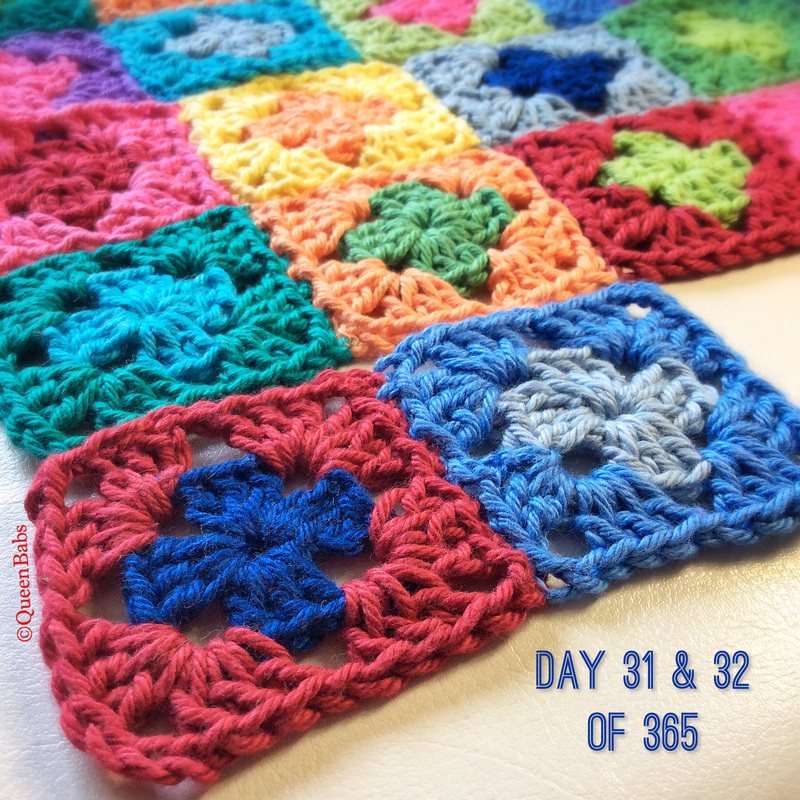 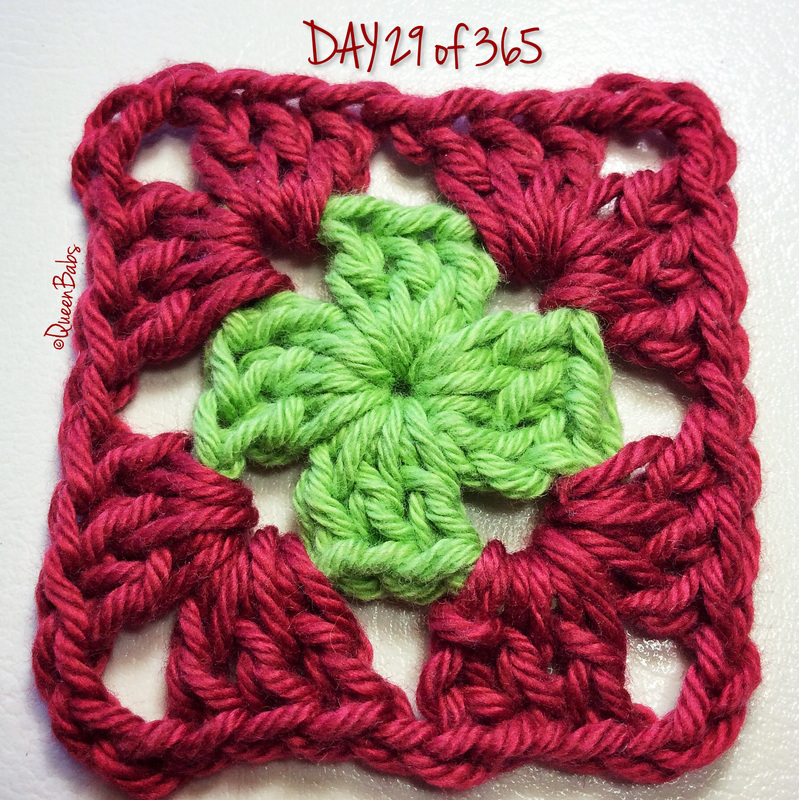 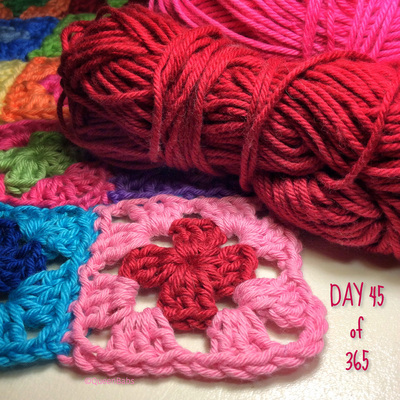 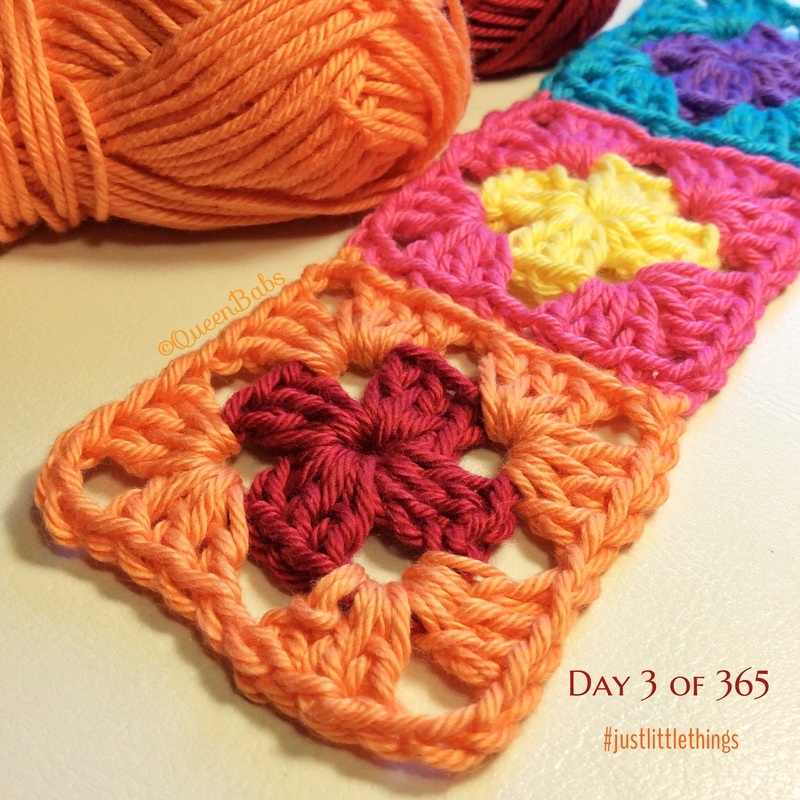 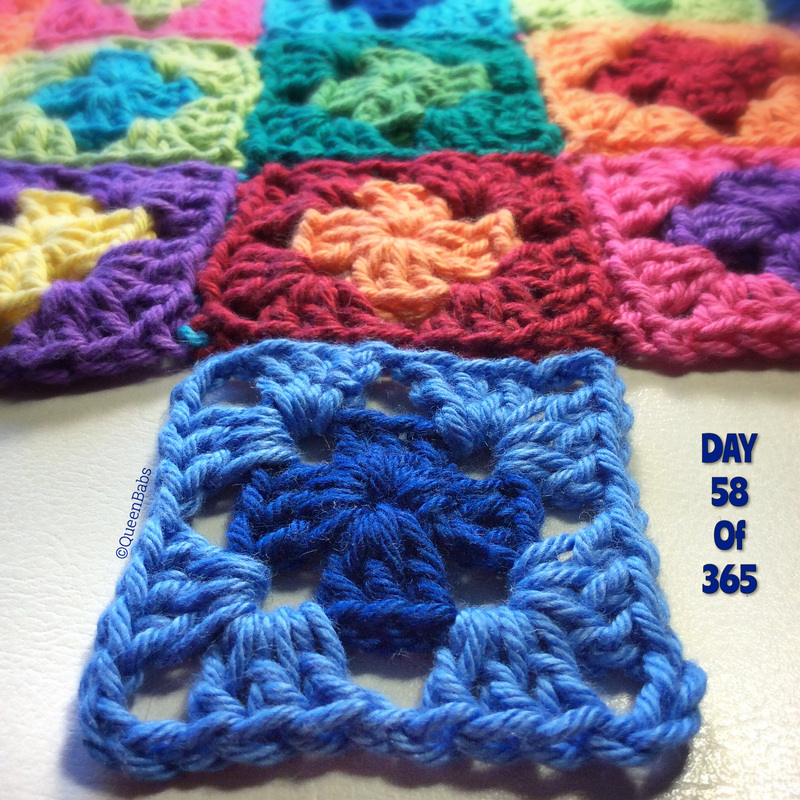 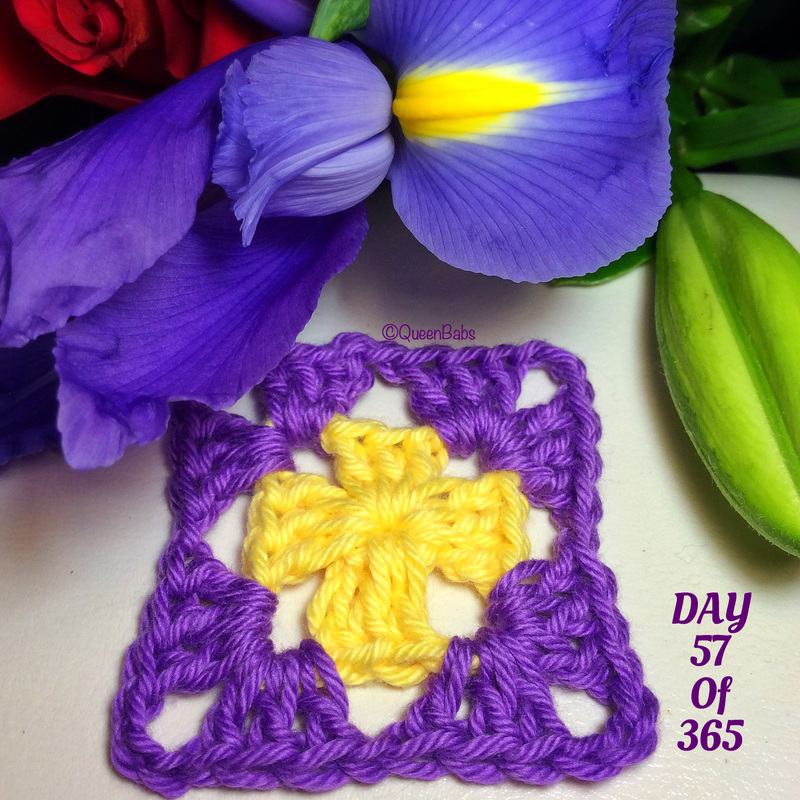 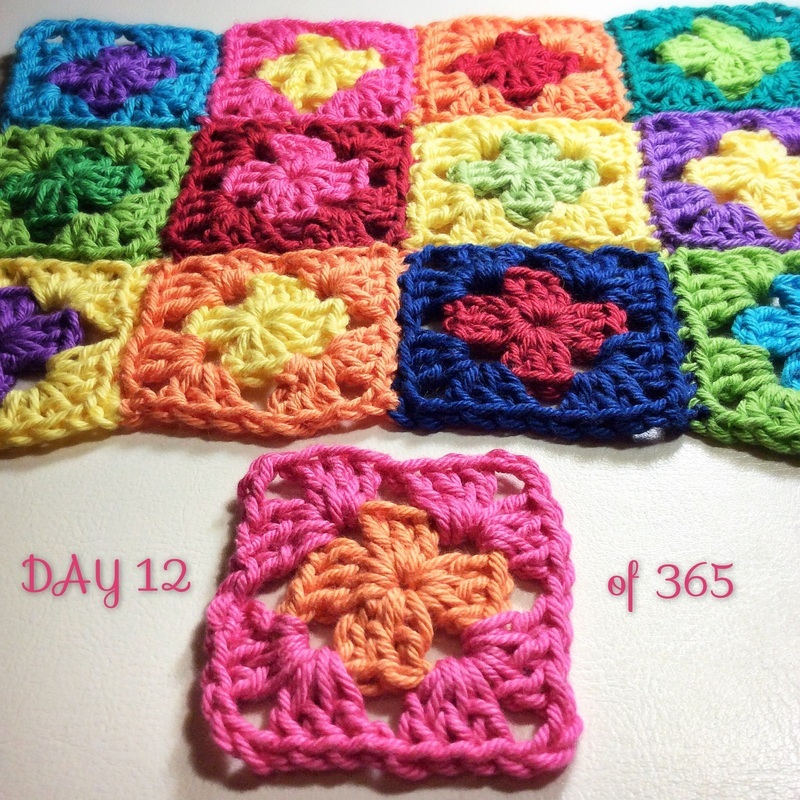 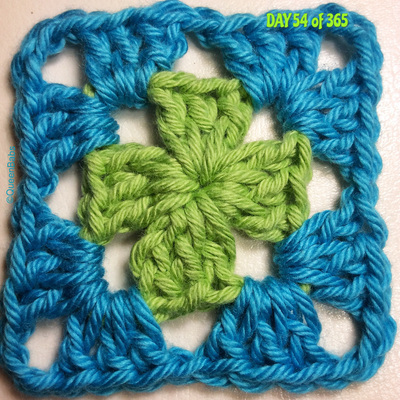 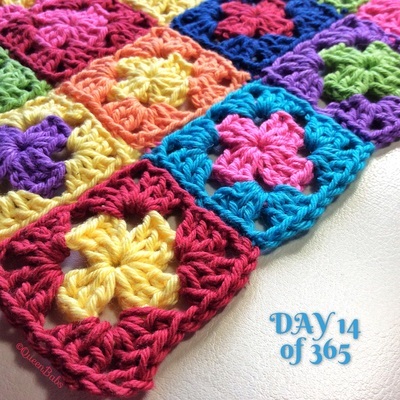 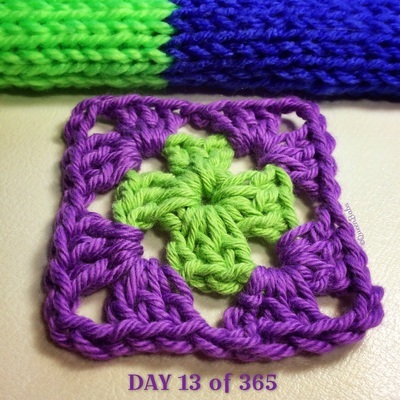 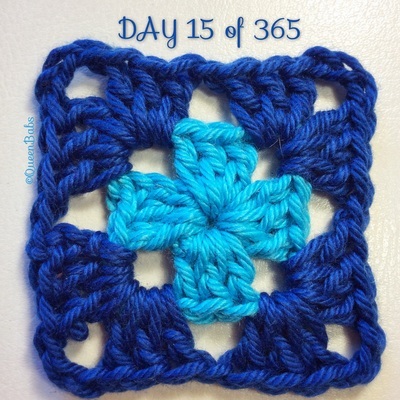 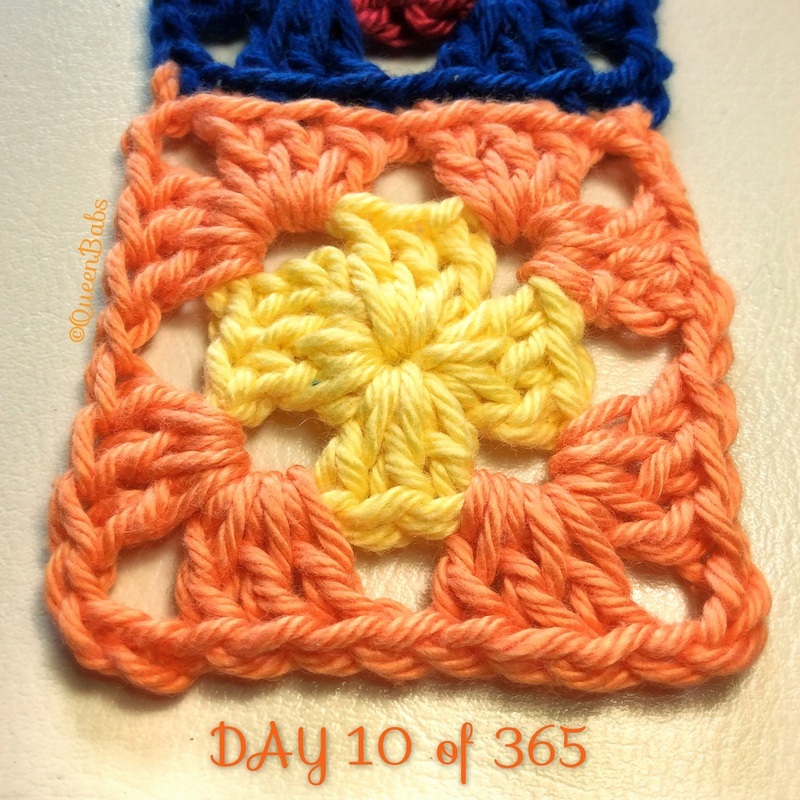 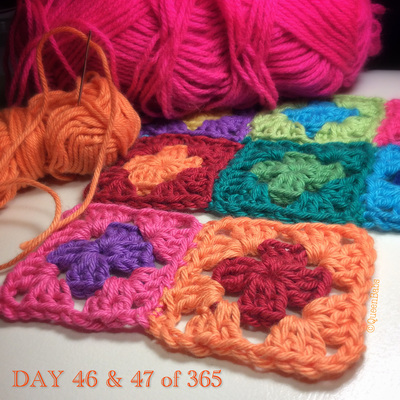 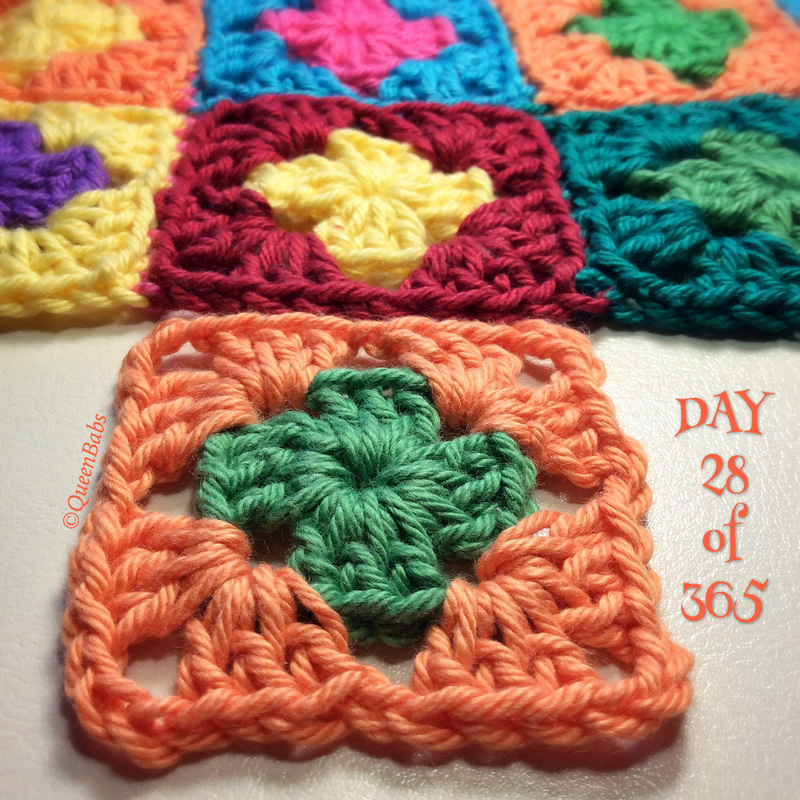 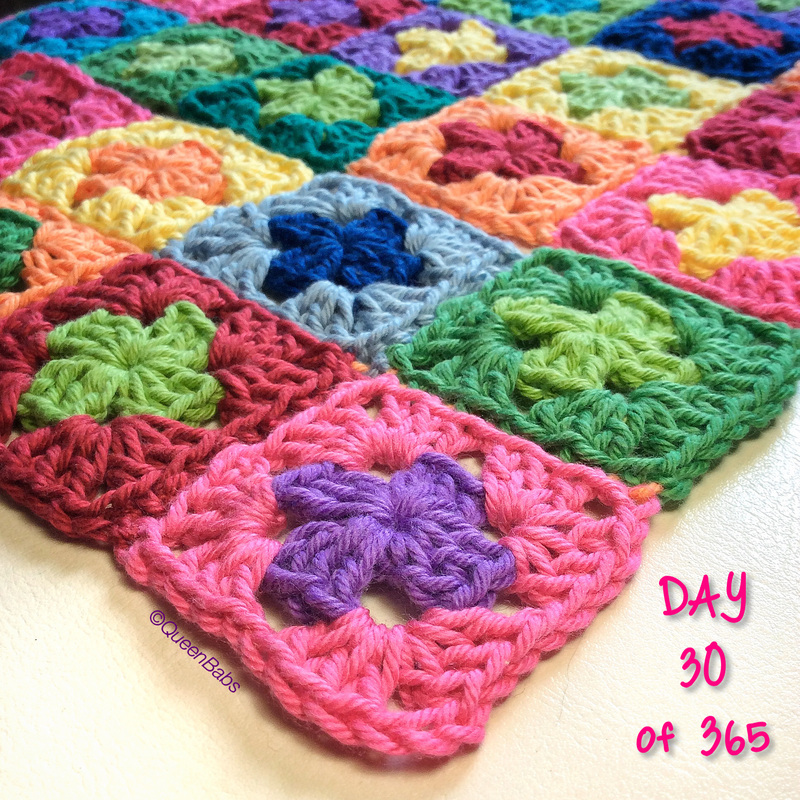 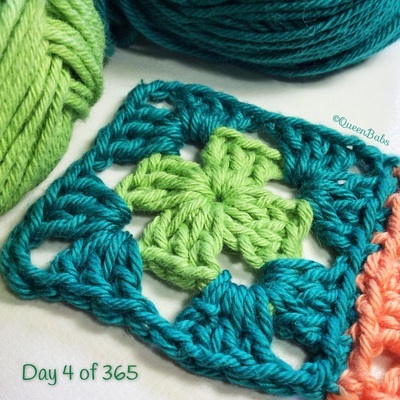 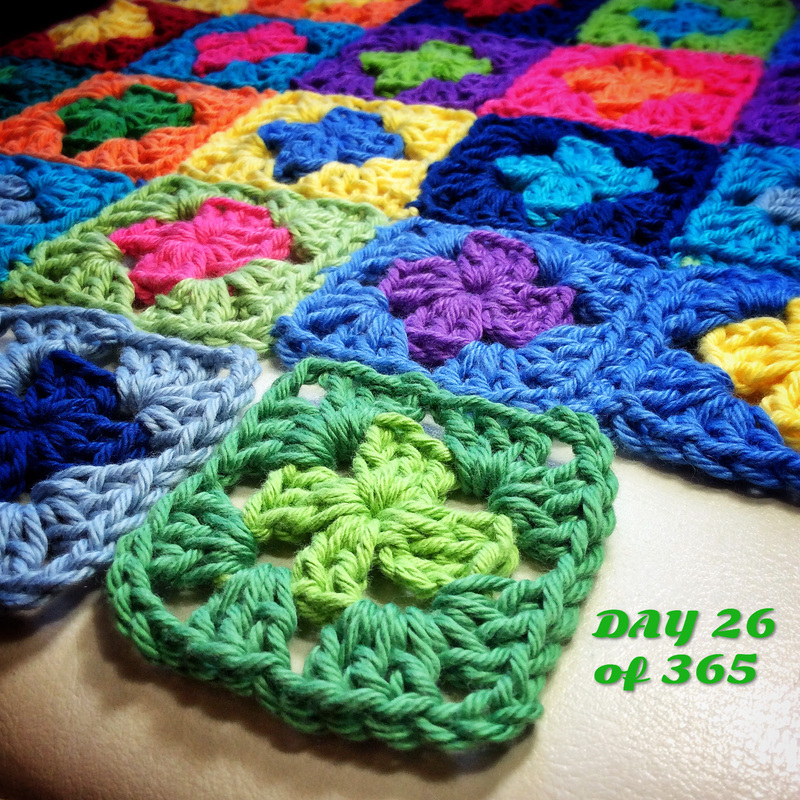 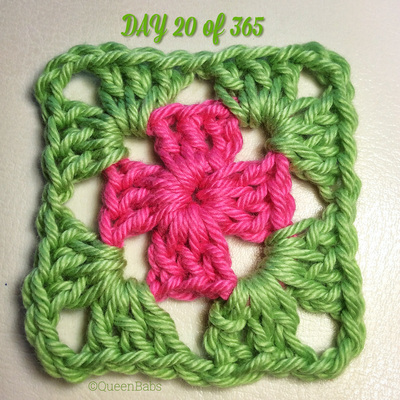 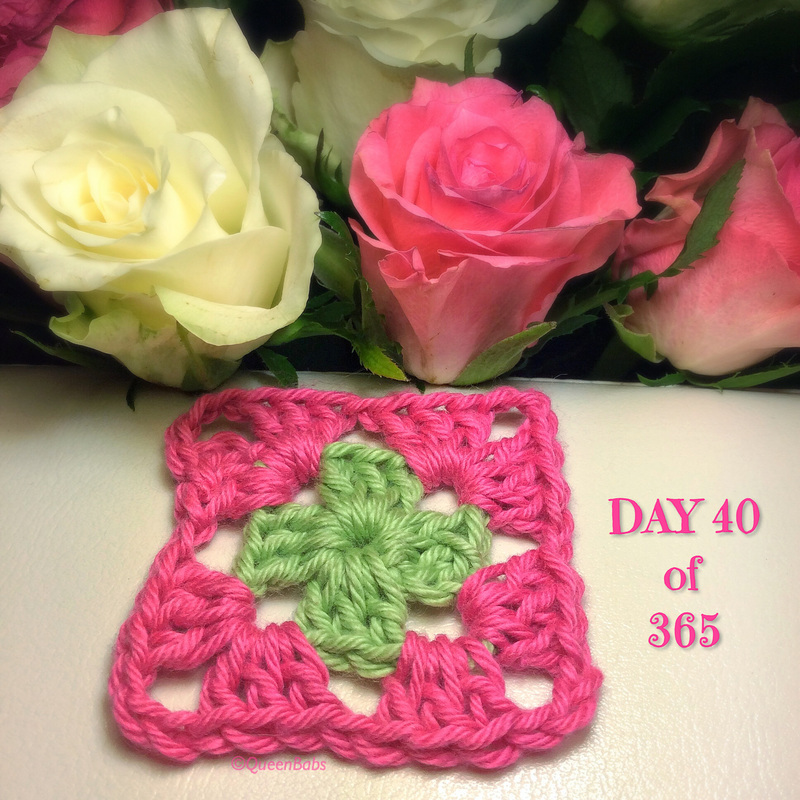 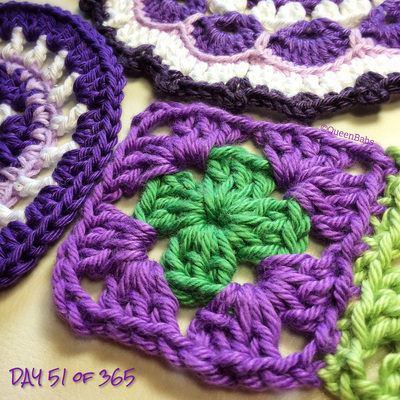 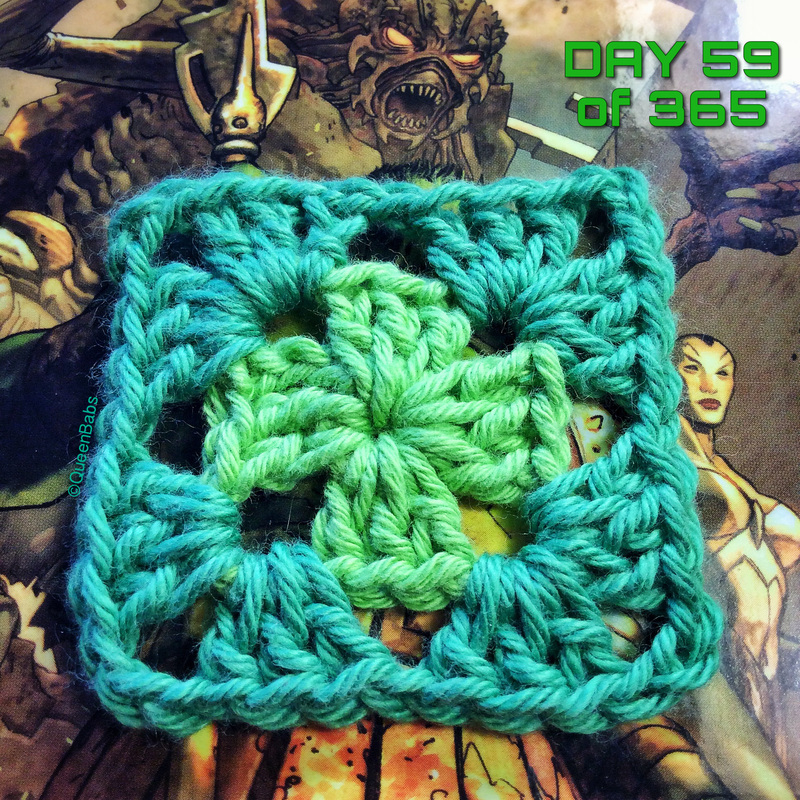 one block a day for 360 days plus 5 days left in the year to make borders. 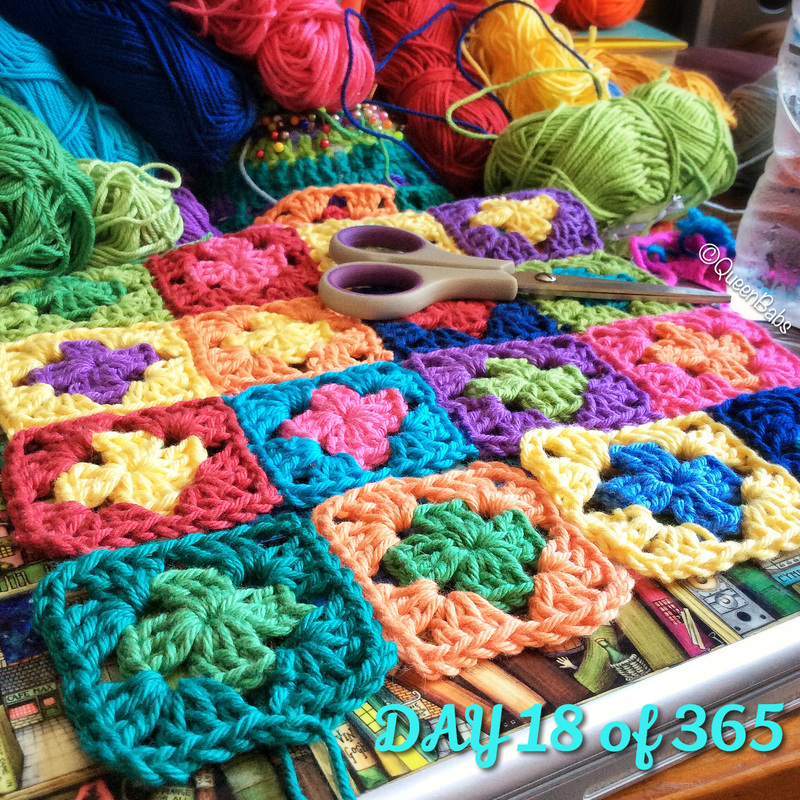 This would create 18 blocks by 20 and roughly 108cm x 120cm when sewn together as each square is only 6cm wide. 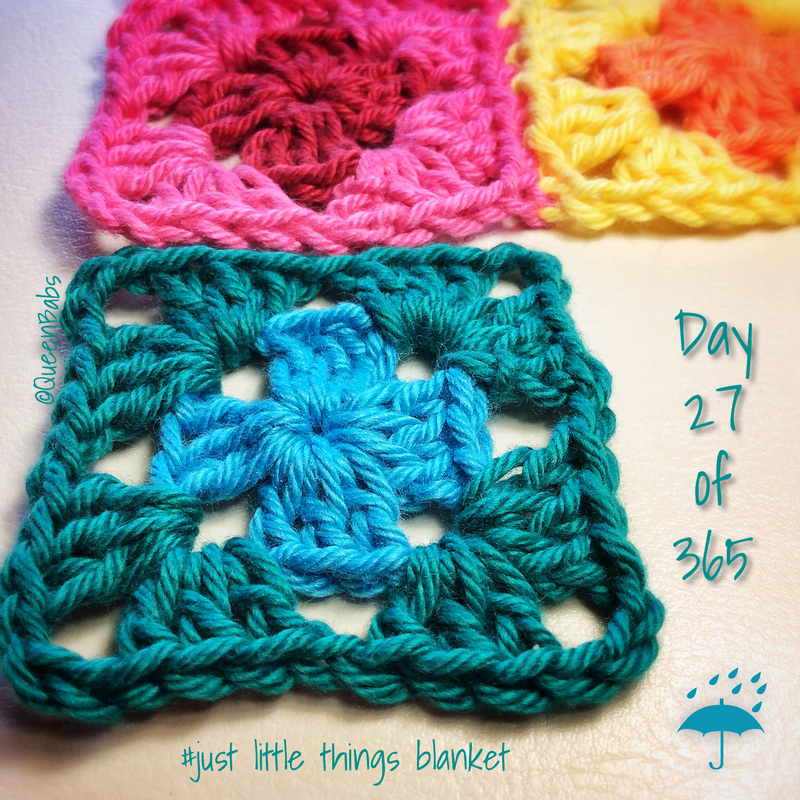 Some days I am making 2 of the same to add the extra one at random moments. I am sewing the blocks together as I go, whip stitching the outside loops with the right sides together. 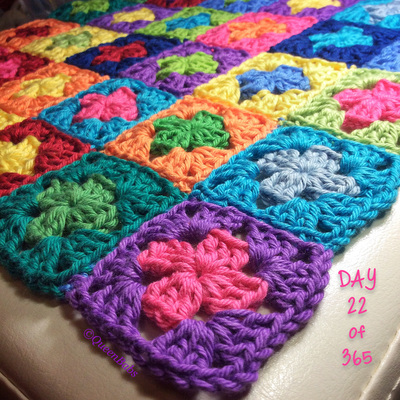 Update 1 March 2015: I am now making extra squares to make it bigger! 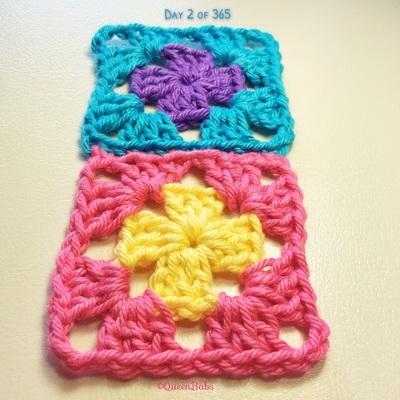 These are to be added in next to the day by day ones in a block so they are separate. 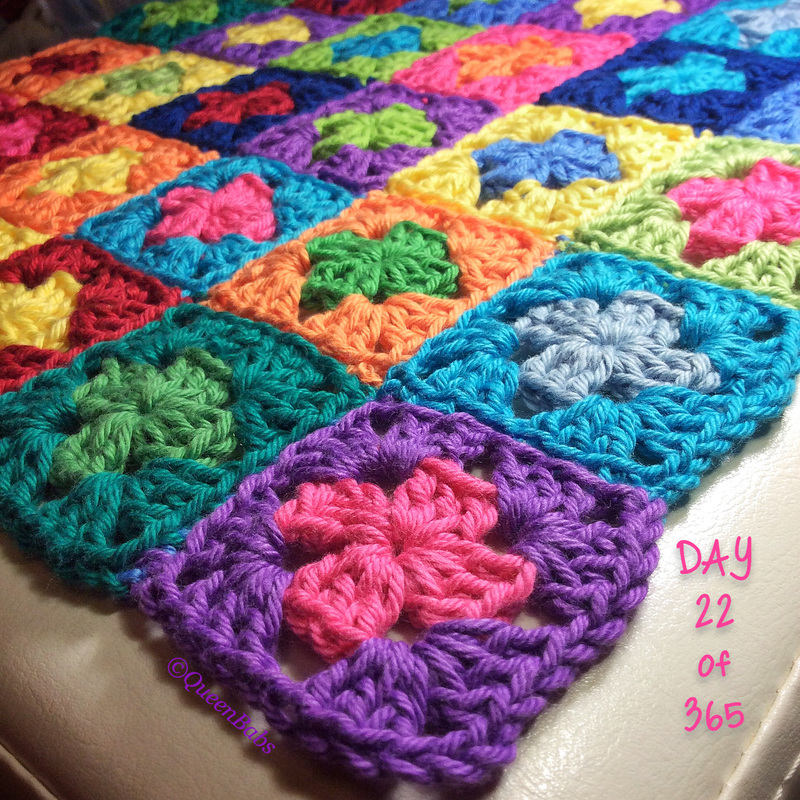 Please note that the ch 3 in the corners creates a squarer block that is easier to sew together into a blanket. 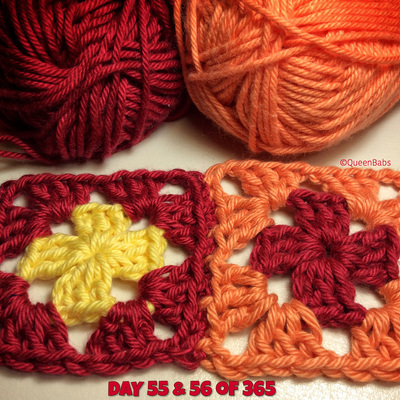 Ch 4, ss into first ch to form a ring. 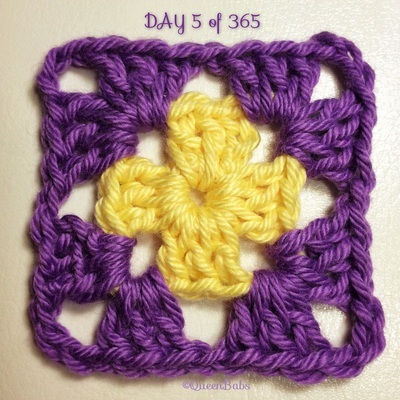 Ch 3, work 3 dc into the ring. Ch 3, then ss into the top of the first ch 3 of the round. Join the new colour with a slip stitch in any ch 3 space. Ch 3 (equals 1 dc), work 2 dc into the same sp, ch 3, work 3 dc into the same space. Ch 1. Work 3 dc into the next sp, ch 3, and work 3 dc into the same sp. Ch 1. 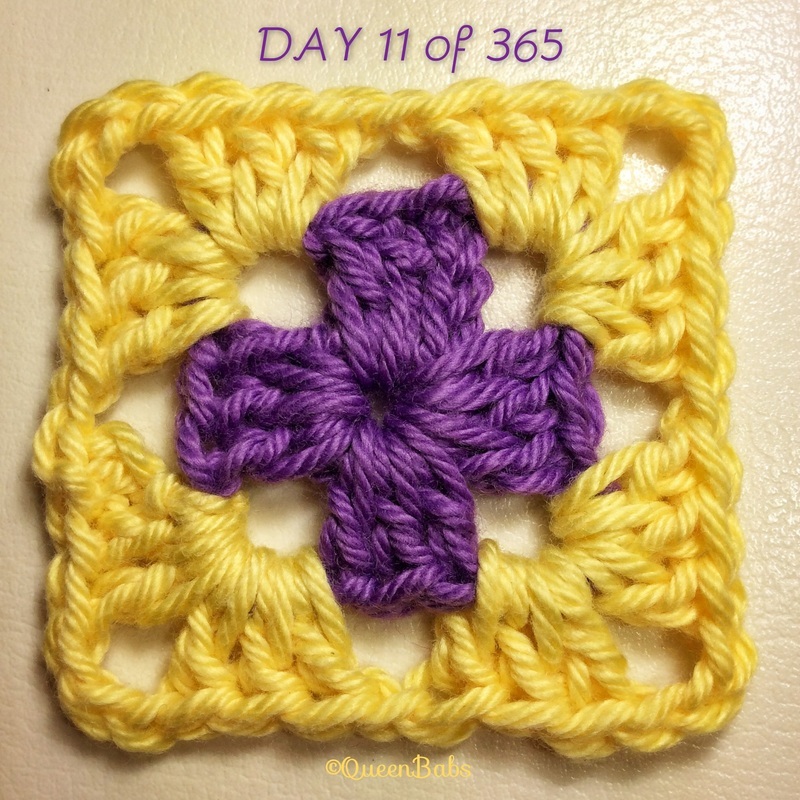 Work 3 dc into the next sp, ch 3, and work 3 dc into the same sp. 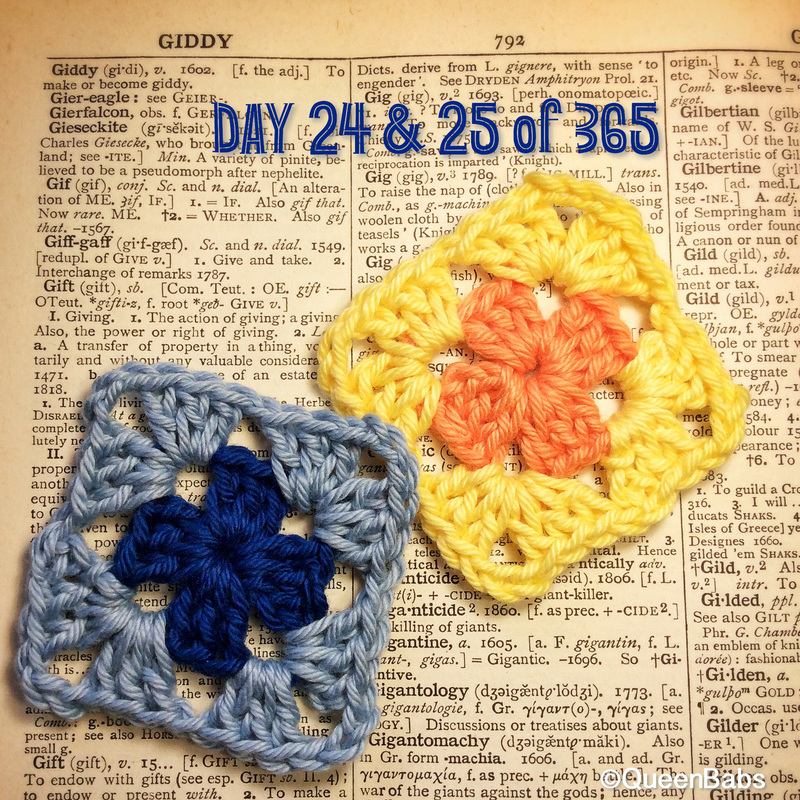 Ch 1. 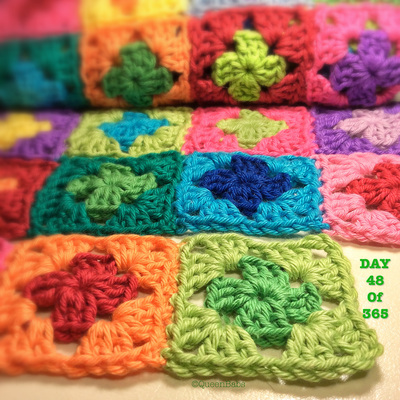 Ss into the top of the first ch 3 of the round.